From the balmy day photos of last Friday to the deep chill of February, 2009, here’s some cold weather photos, one short movie and a “wild ride movie” by kayak – all for your viewing pleasure. 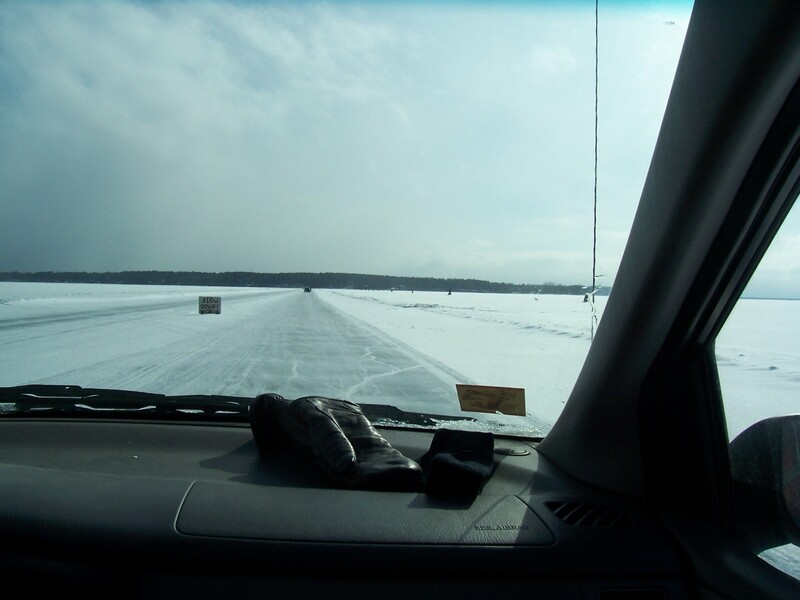 Hey, how about driving on top of Lake Superior? Northern Wisconsin really is a different state than the Wisconsin of Milwaukee and Madison. Northwestern Wisconsin even more so. What happens north of highway 8, stays north of highway 8, or so the saying goes. Well, we’ve got nothing to hide. 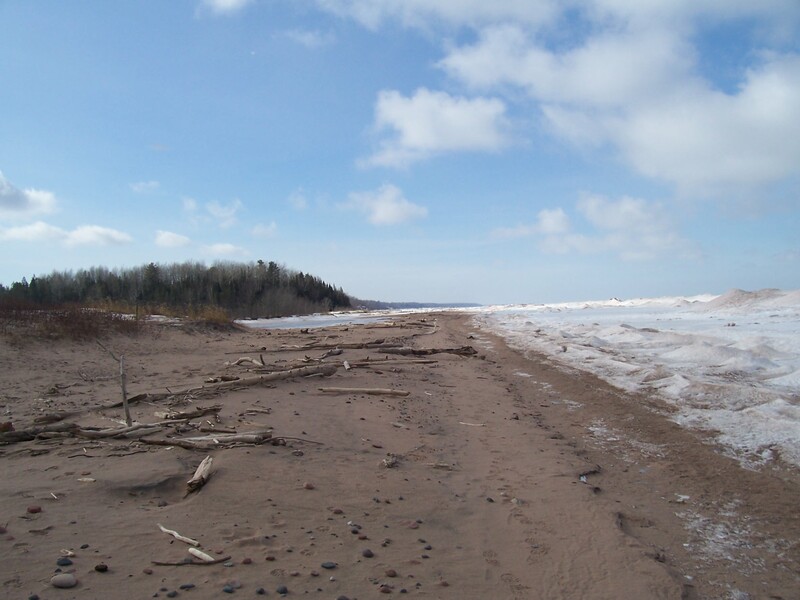 On our road trip through the wild northwest we followed the river trail along the St. Croix, the Bois Brule, Lake Superior and on to Madeline Island. As a former “flatlander” (genteel Wisconsin slang for “Illinois folk”) driving across water in its solid state still raises my blood pressure. Okay, it makes me a little crazy. "Let me out of the car!" Come May of 2011, I’m planning on a more fluid ride to La Pointe. Enjoy the photos. See you next week. 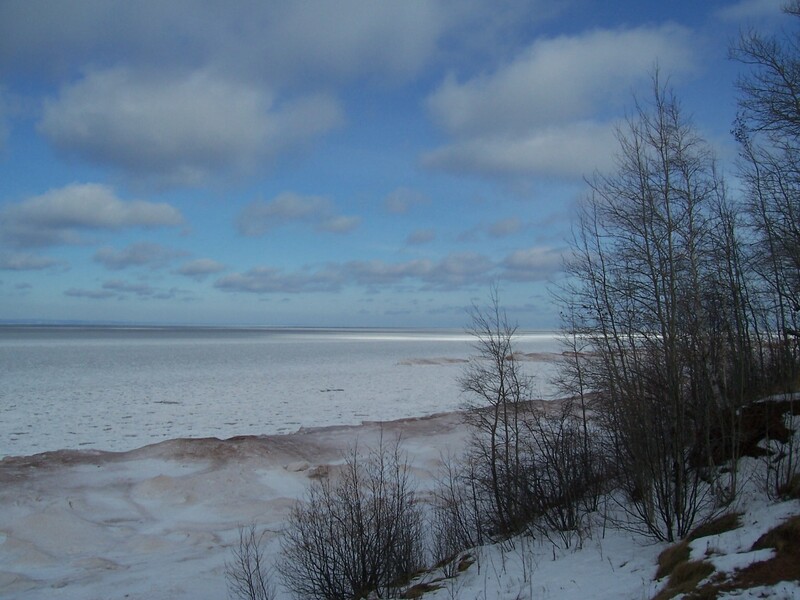 Where the Brule meets Lake Superior. Powerful spot. Calm water that day. 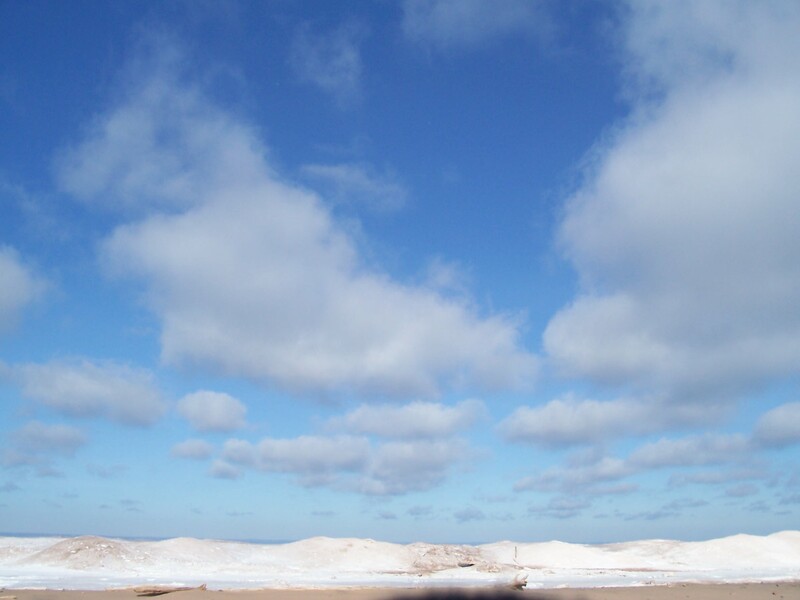 Brule/Lake Superior - looking NEWhat a day. The Lake was fairly calm. Okay, the next shot, the big one below, is evidence enough for why living this far north is just fine with me. You warm climate folks have got to be saying, that’s evidence enough to stay put. What you’ve been waiting for….the movie. 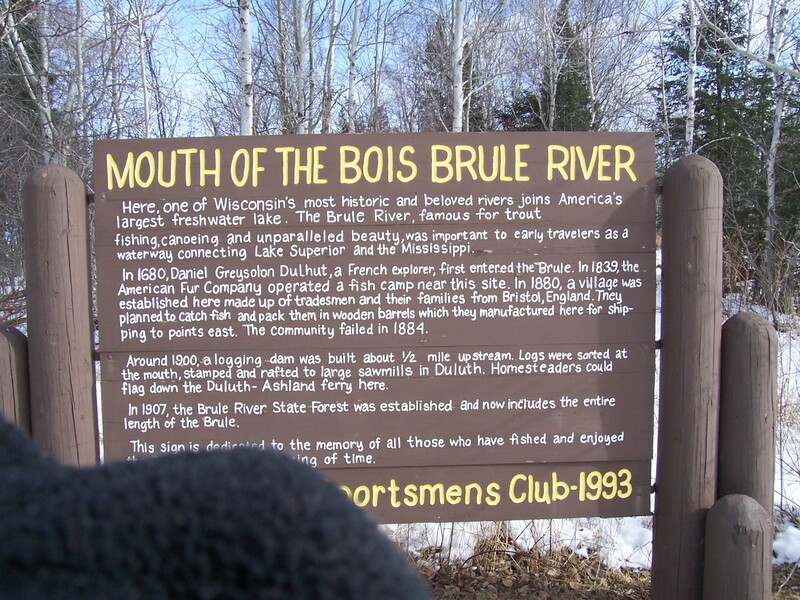 Here’s a short, really short, preview of the tiny Brule not far from Brule Spring where it all gets started. The Winter-time Brule by Kayak – Enjoy the Ride – It’s not me -the music is finger-snapping, oh yeah. Okay, I hit the mute button. 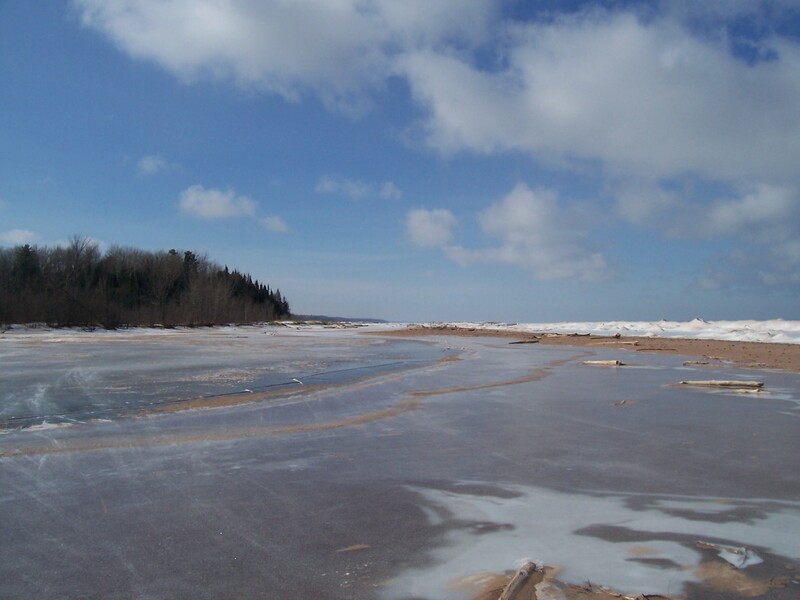 This entry was posted in Brule-St.Croix portage, Lake Superior, Madeline Island, Music and Video and tagged Brule River, Lake Superior, Madeline Island, Wisconsin. Bookmark the permalink. I’m really in awe of your tech skills there Gramps. How the heck can ya load all this cool stuff into ur blog?! Truly Corrina, it is such great fun. 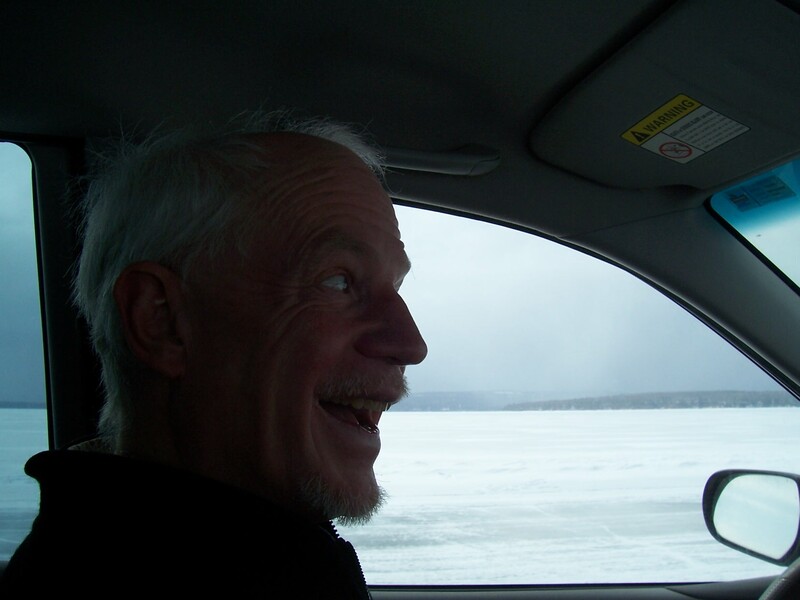 Much Love and Thanks, J G.
I’m not sure I have the guts to drive across Lake Superior! Maybe if I could drive while sitting on top of my car in my kayak or a big blow-up life raft! 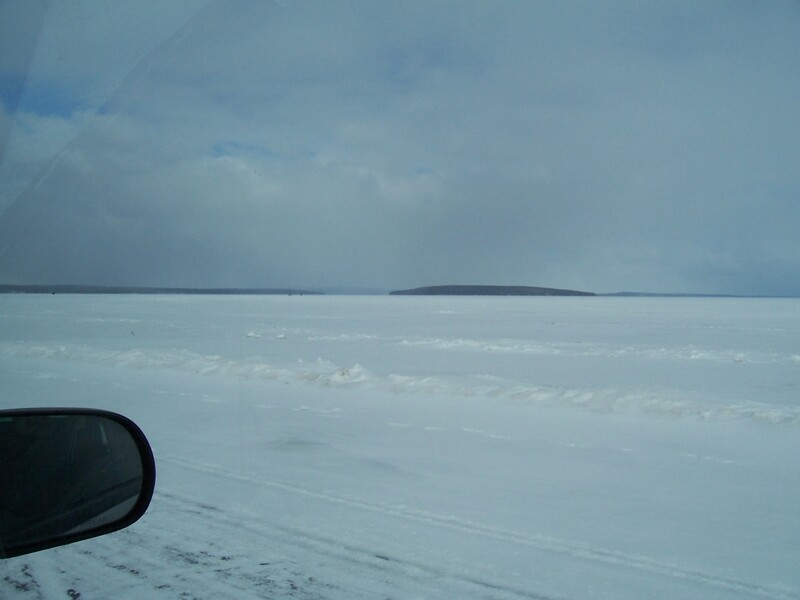 I bet Madeline Island is a quiet place in the winter… When I was there in October I learned that the population goes WAY down in the fall. Kate, who was planning to spend her first winter on the island said there are basically 3 winter activities – I’ll let you ponder the options.